We may be busy gearing up for a big Memorial Day weekend, but we’re never to busy to listen to what you have to say. In fact, we love hearing from you. Where do we have room for improvement? What are some of your favorite items on the menu? Let us know! Here’s an excerpt from a recent review on TripAdvisor—thanks for the kind words! We’ll see you on the patio, Charleston! Whew–is it us, or did last week fly by? Between graduation (congrats, graduates! ), Mother’s Day, and everything else in between, it was a busy week. Thankfully, it’s Taco Tuesday, and we’ve got some delicious tacos and cocktails waiting on you. So grab the dog (we love seeing our furry friends on the patio) and your friends, and come unwind with us. What’s on tonight’s menu? Chef Scott Vosburgh came up with the following: Tequila Lime Shrimp, Spicy Kofta, and Churrasco Chicken…need we say more? Oh, and don’t forget—we LOVE hearing from you. Let us know how we’re doing and keep us up-to-date with your favorite taco flavors. Photo: Last week’s Char Siu Brisket…mmm! [slideshow]The warm weather is here, and if you’re anything like us, you’re having trouble fighting the urge to camp out on the nearest patio with some good eats for a while. 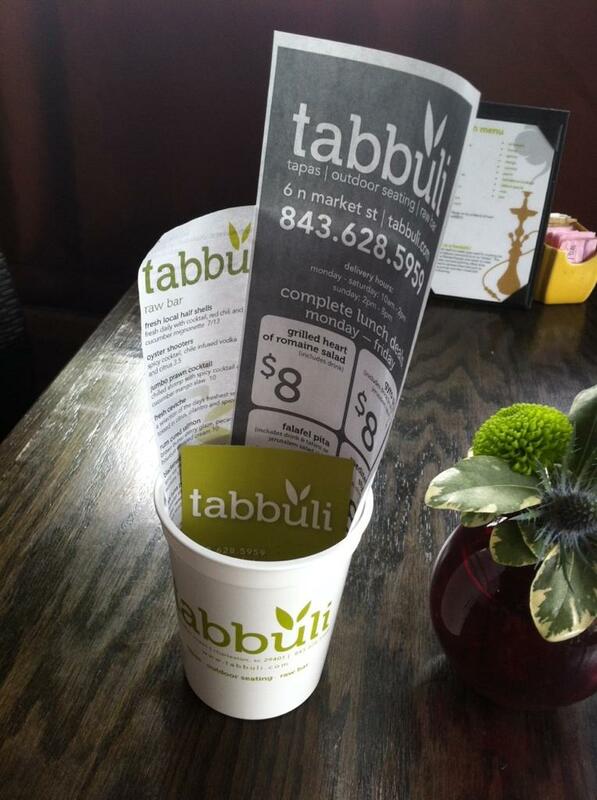 Lucky for us, Tabbuli has one of the best outdoor patios in town. We sat down with Chef Scott Vosburgh to see what Tabbuli has in store on their patio for the balmy summer season. For starters, Chef says he’s excited about the raw bar. “It’s the perfect time of year for it,” he notes. Look for fresh oysters (as the season gets warmer, Tabbuli imports them from the Northeast), shrimp, and one of Tabbuli’s biggest crowd pleaser’s, the Rum Cured Salmon. “Everyone that tries it, loves it,” says Chef. But who wouldn’t love a “contemporary French toast” made with crispy pecan toast, bourbon whipped cream, and a brown sugar glaze? Next on the Chef’s list of favorites? Relaxing on the patio with a glass of wine. Need a snack with that wine? Try one of Chef’s favorite dishes— the Ahi Tuna Poke—a hawaiian style diced tuna with cucumber salad, sweet chili soy glaze ginger aioli and crispy wontons. 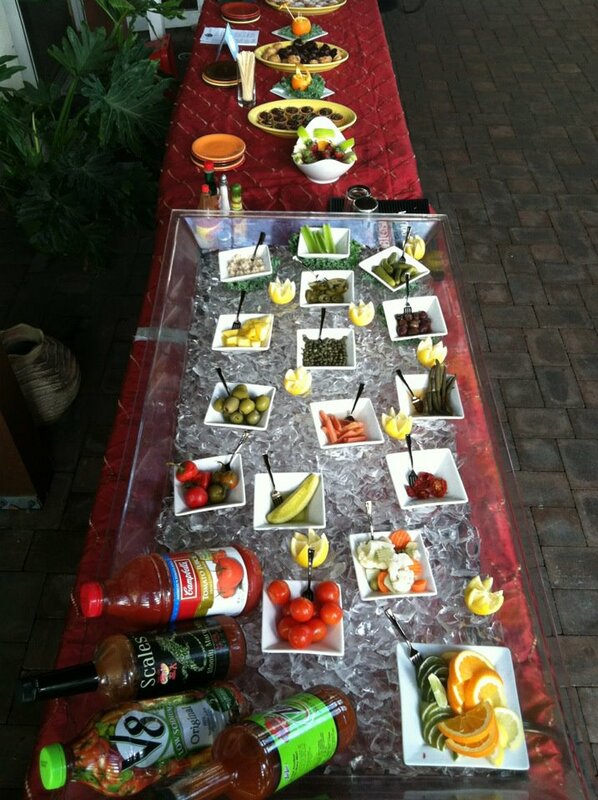 If the raw bar, music, and wine don’t get you motived for summer, Chef recommends sampling the Bloody Mary Bar or taking advantage of the $10 Mimosas carafe. Whew, looks like we have a lot to look forward to this spring and summer! Look for more updates on Facebook and twitter. We’ll see Y-O-U on the patio! Still nursing your Cinco de Mayo wounds? We are, too. But fret not—we’ve got a little something to put some serious pep in your Tuesday step. 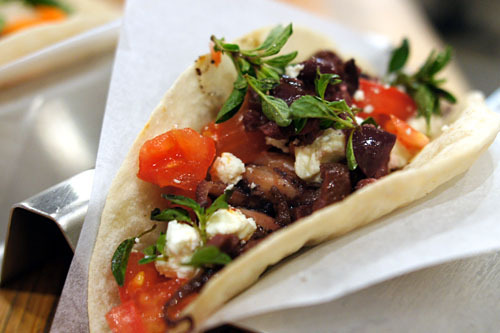 Enter: Taco Tuesdays at Tabbuli. 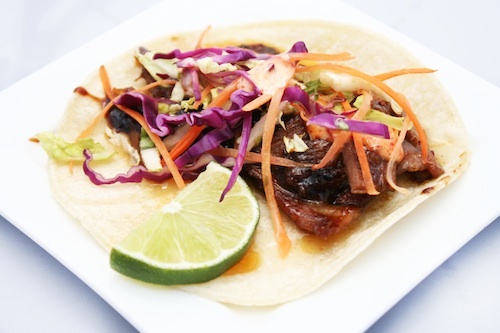 Beginning today at 4 p.m., Chef Scott Vosburgh will serve up a mouth-watering medley of tacos (Churrasco Chicken, Chipotle BBQ Shrimp, and the Char Siu Brisket are among some of today’s specialties) for a whopping $3 a pop. Even better? These specials last all night, so those of you loggin’ in too many office hours have no excuse not to get your taco fix. If happy hour helps get you over the Tuesday blues, try one of our specialty margaritas (we hear the Texas Margarita with the Grand Marnier floater is extra tasty). Questions or taco concerns? Give us a ring at (843) 628-5959 or reach out to us on Facebook. 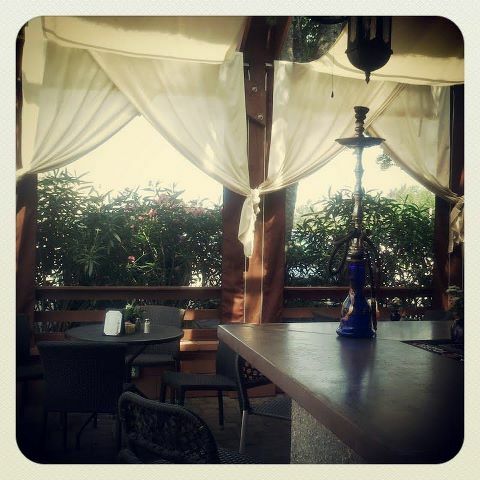 Better yet, mosey on over, sit a spell on our patio, and chat with us in person. We can’t wait to see you!